Here in miniature are the advantages and disadvantages of Szabo’s approach. 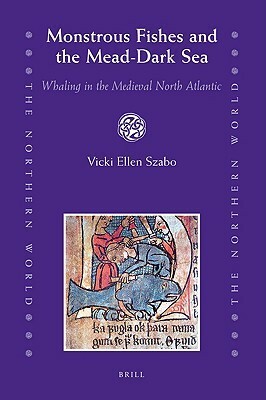 Impressively interdisciplinary, with data drawn from archaeology and zooarchaeology, medieval and modern ethnography (particularly of the Faroe Islands), law codes, and the Forndaldarsögur and Íslendingasógur (legendary and family sagas), Szabo builds her case: yes, there was whaling in the North Atlantic carried out by the Nordic peoples (and not only by the Basque), but it was unreliable enough that there was no sustained whaling practice or expectation of whale products. Claims by whaling nations of their deep cultural whaling roots fail when we recall, as Szabo does, that the kinds and size of whales in the North Atlantic have changed utterly since the Middle Ages and that the methods of whaling have changed utterly (barring in the Faroes) since the invention of the exploding harpoon in the 1868. Unfortunately (or usefully?) Szabo’s writing tends towards the studiously accurate. Her writing picks up only in her acknowledgements (sadly typical for academic writing: would that acknowledgements style became more general, and I accuse myself here too) and in her epilogue, which imagines a typical medieval Nordic farm and what follows when a whale is discovered dead on the shore. This careful accuracy is most evident in her use of literary evidence. For her, it’s just one more set of data, and her belief in the facts of her data leads her, generally, to measure the sagas or the Physiologus or Albert the Great &c against what we know of cetology. This has its uses, but perhaps we ought to distinguish between interdisciplinary sources and interdisciplinary interpretations: for her interpretations are all of the same sort. To look into further: the whale steeds of the legendary sagas, ridden into battle by troll women; the Franks casket, one of whose inscriptions has the whale bone speak of its own death [cf. the oyster and parchment Anglo-Saxon riddles, or the Carmina Burana Lament of the Roast Swan:]; the post whale hunt dance of the Feroese to stave off ‘pilot whale psychosis’; and the geographic writings of Al-Sharīf al-Idrīs, who traveled to Britain in the twelfth century and was horrified by what he saw. This entry was posted in Book Reviews, MedievalBlog and tagged animals by medievalkarl. Bookmark the permalink.